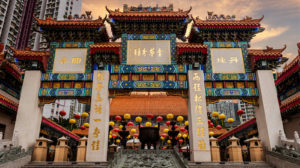 A group of local and ethnic minority youth are providing a free tour of Hong Kong upon completing their cultural touring training. Join them as they explore the city, visiting sights such as Duddell Street Steps and Gas Lamp, Tai Yuen Street, Blue House, Khalsa Diwan Sikh Temple, Masjid Ammar And Osman Ramju Sadick Islamic Centre. The tour will be conducted in English and tram fees are not provided.